Vocalist Betty Van began her career singing on Los Angeles radio station KHJ at age 17. When she graduated from high school, she toured with Kenny Baker’s orchestra before being invited to join Benny Goodman in mid-1937. She remained with the band only a few months before being replaced by Martha Tilton. In 1942, Van toured with Jack Teagarden before retiring to get married. Guzzardi, Joe. “My Mom: A Life of Grace, Dignity.” Lodi News-Sentinel [Lodi, CA] 8 may 2004.: 4. 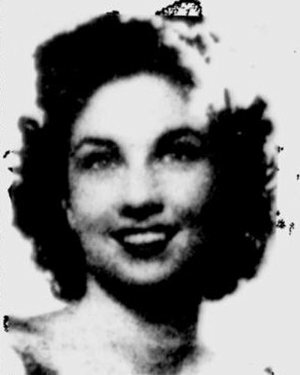 “Stars to Shine at Nat Park Opening.” The Spokesman-Review [Spokane, WA] 13 May 1942: 5.